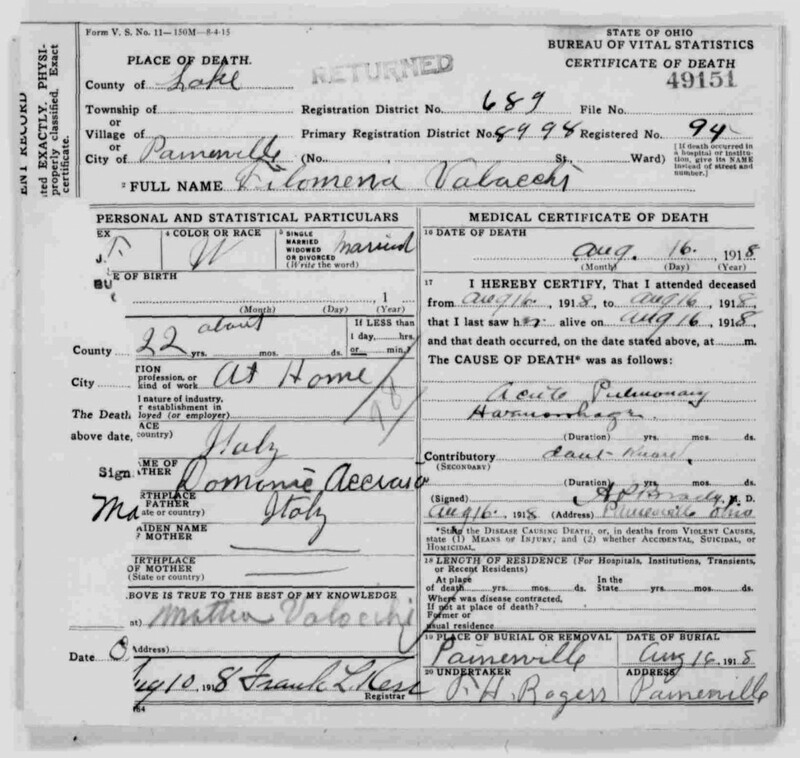 Filomena Acciaso’s name first appears in the Painesville, Ohio, area on her death certificate in 1918. In America, Filomena Acciaso was known by her married name, Filomena Valocchi. Filomena Acciaso, daughter of Domenico Acciaso, was born about 1896 at Campli, Italy. She married Mattia Valocchi, son of Pietro Valocchi and Sarafina Romani, about 1913 at Italy. Filomena died on August 16, 1918, at age 22, at her home, at Painesville, Lake County, Ohio, of a pulmonary hemorrhage. Her body was interred at St. Mary Cemetery at Painesville Township, Lake County, Ohio. Filomena Acciaso immigrated to the United States on April 11, 1914. She was traveling with her husband, Mattia Valocchi. He was returning to Philadelphia, Pennsylvania. Filomena Acciaso established residence in Fairport Village, Ohio, in 1915. 1. 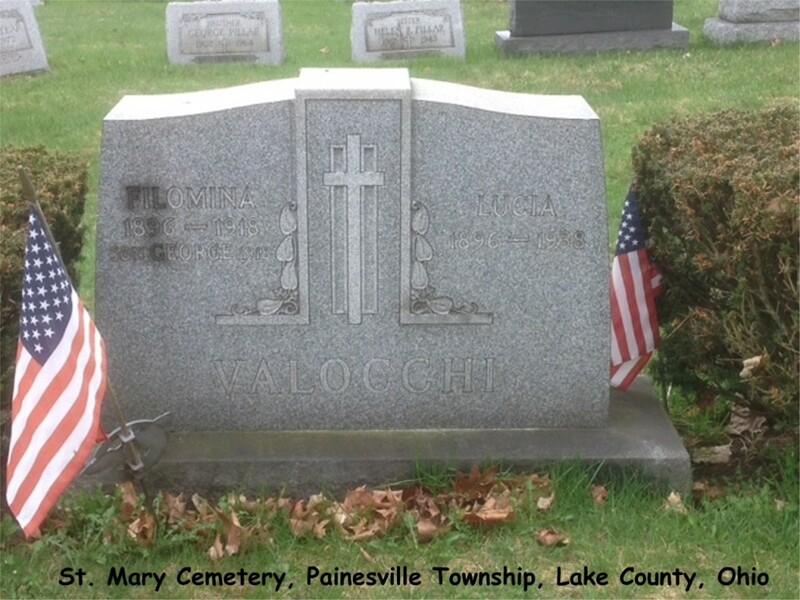 Edith Valocchi was born on June 8, 1915, at Fairport Harbor, Lake County, Ohio. She married James Nucciarone, son of Antonio Nucciarone and Mary Cardina, on September 10, 1935 at St. Mary Catholic Church, Painesville, Lake County, Ohio. Edith died on January 27, 1989, at LakeEast Hospital, Painesville, Lake County, Ohio, at age 73. Her body was interred at Riverside Cemetery at Painesville, Lake County, Ohio.